I really like the general idea of dramatically cutting the military budget and devoting the money saved to humanitarian causes. (Another plug for War or Car, which I really want you to see if you haven't.) And I'm happy to see people making this point with regard to the Libya situation -- Matt writes that "supplying clean water to the population of Congo would cost about 100 Tomahawk missiles." 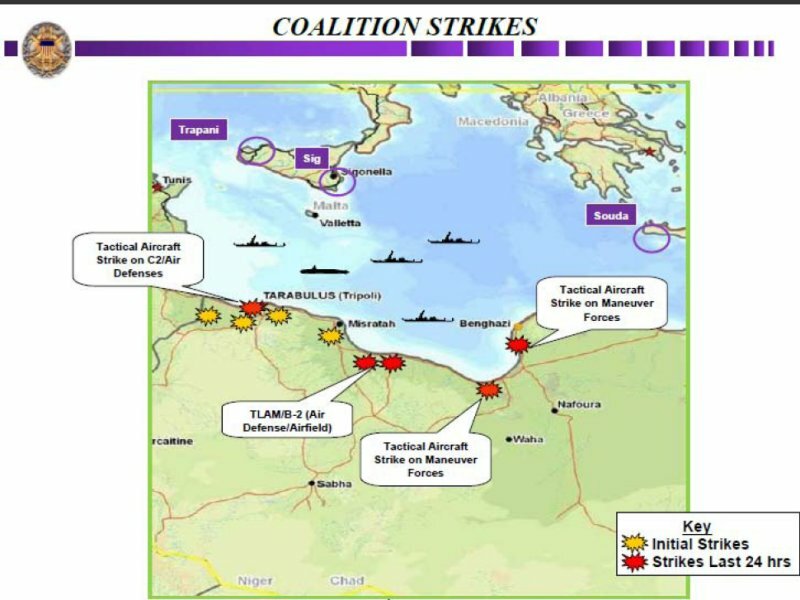 But I don't think this is the best way to understand the merits of military action in Libya, specifically. It appears that there's a relatively well-defined short-term mission that the United States can perform, and which would be a decent use of money. It just involves using our air power to destroy Gadhafi's air strike capacity, and smashing any tanks that are moving towards rebel-controlled territory. I'm sure there's better things that could be done somewhere in the world with the available funds, but that goes for just about any expenditure of money made by any human. I'm not going to make the perfect the enemy of the good here. I can't be certain about this, because I don't understand the rebels well enough, but the world would probably be a better place if Gadhafi couldn't fly planes or send tanks after them. Money spent achieving this outcome would be reasonably well spent. The real place to make the cost/benefit point would be with regard to our other big ongoing wars -- Afghanistan and Iraq. I feel like that's really what people on my side want to talk about when they're talking about Libya. But everything has to be hung on the peg provided by the foreign policy crisis of the day. So instead of talking about the hugely cost-ineffective Afghan War or the fiscal and moral horror that was Iraq (which I hope we're getting out of in a timely manner -- I don't really know how to check on this), they have to talk about Libya, which isn't, as far as I can tell, a very good case for the important point they're trying to make. 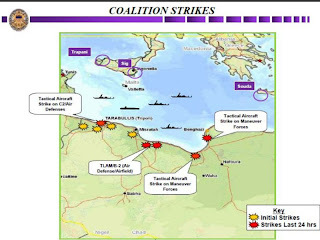 At this point my attitude towards the Libya operation is one of cautious optimism. I'm hopeful that smashing Gadhafi's war machine will make the world a better place, that we can accomplish it, and that the Obama Administration will have the good sense to declare our work done when they've accomplished that. I don't have a great idea how to evaluate our chances with respect to the first and second goals, but the third, at least, is in the hands of our leaders. The thing to do now is to make sure they understand the goal that way. Now it is down to small arms, and the rebels can win (or sustain) that fight with a little training. Once again, I wouldn't be surprised to see two new states come from this. Egypt may gain a client state of its own soon. On leaving Iraq, I highly recommend Whitney Terrell in Slate. It's clear that there's still going to be pressure put on Obama to stay, and it's not clear where that ends up (and IMO it'll be a good indicator of what Obama will wind up doing in Afghanistan over time), but for now, yup, the US is really leaving.